In 1914, at the age of 51, the novelist and poet May Sinclair volunteered to leave the comforts of England to go to the Western Front, joining the Munro Ambulance Corps ministering to wounded Belgian soldiers in Flanders. 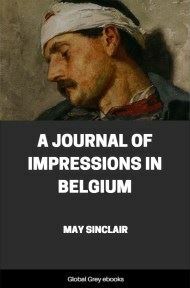 Her first piece of writing on returning to England was A Journal of Impressions in Belgium, a fictionalised record of her experiences and perhaps one of the first wartime women's diaries published in Britain in 1915. 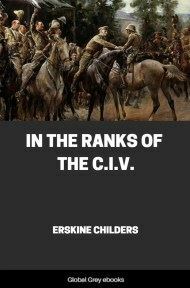 For many of these impressions I can claim only a psychological accuracy; some were insubstantial to the last degree, and very few were actually set down there and then, on the spot, as I have set them down here. This is only a Journal in so far as it is a record of days, as faithful as I could make it in every detail, and as direct as circumstances allowed. But circumstances seldom did allow, and I was always behindhand with my Journal—a week behind with the first day of the seventeen, four months behind with the last. This was inevitable. For in the last week of the Siege of Antwerp, when the wounded were being brought into Ghent by hundreds, and when the fighting came closer and closer to the city, and at the end, when the Germans were driving you from Ghent to Bruges, and from Bruges to Ostend and from Ostend to Dunkirk, you could not sit down to write your impressions, even if you were cold–blooded enough to want to. It was as much as you could do to scribble the merest note of what happened in your Day–Book. But when you had made fast each day with its note, your impressions were safe, far safer than if you had tried to record them in their flux as they came. However far behind I might be with my Journal, it was kept. It is not written "up," or round and about the original notes in my Day–Book, it is simply written out. Each day of the seventeen had its own quality and was soaked in its own atmosphere; each had its own unique and incorruptible memory, and the slight lapse of time, so far from dulling or blurring that memory, crystallized it and made it sharp and clean. And in writing outI have been careful never to go behind or beyond the day, never to add anything, but to leave each moment as it was. I have set down the day's imperfect or absurd impression, in all its imperfection or absurdity, and the day's crude emotion in all its crudity, rather than taint its reality with the discreet reflections that came after. Well—I have not told it for several excellent reasons. 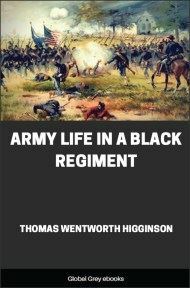 When I set out to keep a Journal I pledged myself to set down only what I had seen or felt, and to avoid as far as possible the second–hand; and it was my misfortune that I saw very little of the field–work of the Corps. Besides, the Corps itself was then in its infancy, and it is its infancy—its irrepressible, half–irresponsible, whole engaging infancy—that I have touched here. After those seventeen days at Ghent it grew up in all conscience. It was at Furnes and Dixmude and La Panne, after I had left it, that its most memorable deeds were done.